Recently, TTA Education launched a groundbreaking pilot training course, students used VR headsets into a fascinating, immersive, educational experience that allowed them to interact naturally for UAV flight operation, aircraft assembly and etc. It is figured they could help make learning and teaching better, using VR to increase engagement and aid better understanding of operations. 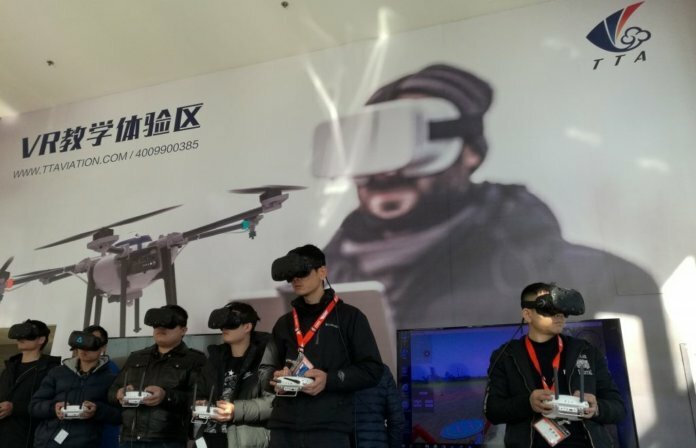 Beijing TT Aviation Technology (TTA) is the world first to adopt VR in UAV pilot training programme. “As the civil aviation leading training institution, TTA has the duty to introduce and explore new educational and training mode, using the virtual reality technology (VR) combined with UAV training course, in a most convenient and lower cost way to make students experience on the scene of the UAV operation and will better understanding the skills. “ Dai Changjing, director of TTA Education. TTA would share this programme in Tsinghua University, Beihang University, Beijing Normal University, China Agricultural University and a number of universities and higher vocational colleges, as well as to its 36 training centers in China and abroad. TTA is a specialized unmanned aerial vehicle (UAV) industry chain provider. Its main products are multi-rotor, unmanned helicopter and fixed wing UAV. The company integrates researching and development, manufacturing, test and training to provide professional UAV products, service and training to our customers (Government, Institutions, Enterprise, farmers). At present, TTA pilot training school provides training certificate of pilot, captain, coach and type of UAVs are multi-rotor UAV, helicopter, fixed wing, and VTOL UAV every month and maxim 500 pilots each term. TTA is proud of being a leading UAV training school and assisting Civil Aviation Administration of China establishing UAV commercial application regulation, management and monitoring. TTA subsidiary company develops the I-cloud systems for CAAC in managing all the registered drones and pilots. We are looking for partners in Europe, USA and other countries who are interested in spreading this programme and using it for education ( company schooling/training) in various countries.